EC Foal Photo of the Day- He’s Got Mojo! 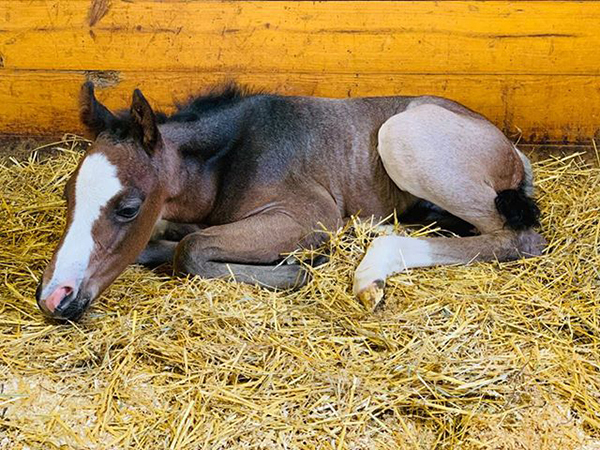 April 25, 2019 Comments Off on EC Foal Photo of the Day- He’s Got Mojo! 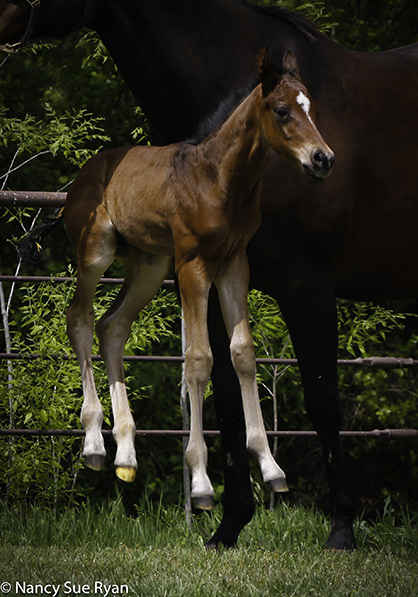 Today’s EC Foal Photo of the Day comes from Laurie Kinnear Kuchler, who shared this adorable shot of “Mojo,” an AQHA foal by VS Code Blue and out of Her Terms R Radical, by Radical Rodder. EC Foal Photo of the Day- Spring Has Sprung! 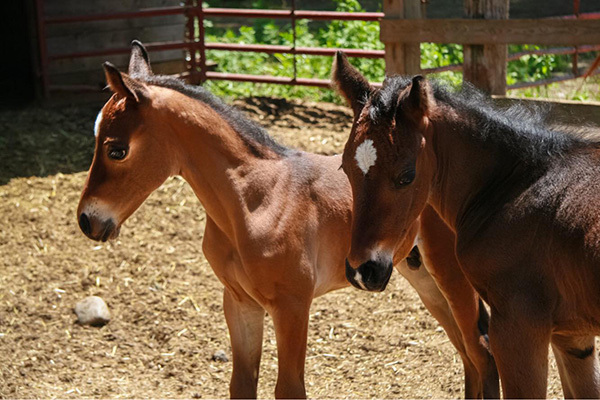 April 22, 2019 Comments Off on EC Foal Photo of the Day- Spring Has Sprung! You know it’s spring with all these beautiful foal photos that have been circulating on social media! Today’s EC photo of the Day comes from Nancy Sue Ryan, who captured this fun shot of “Uly” celebrating a beautiful spring day. Uly is an AQHA colt by Give Me The Goods and out of an AQHA Champion, Open/Amateur mare with 500+ points named From The First Hello (Sweet Talk Me X Fabuluke). Happy Easter from Your Equine Chronicle Family! 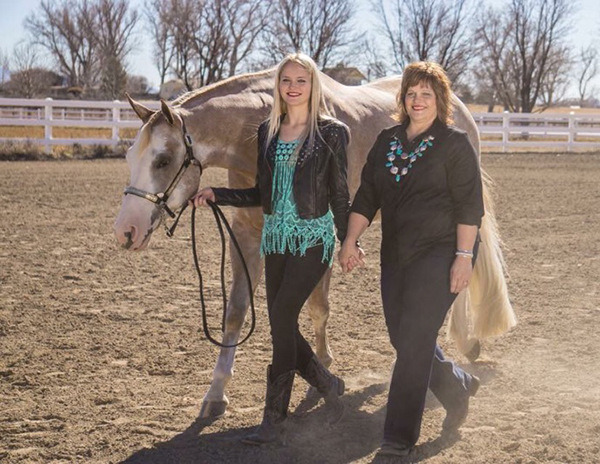 April 21, 2019 Comments Off on Happy Easter from Your Equine Chronicle Family! 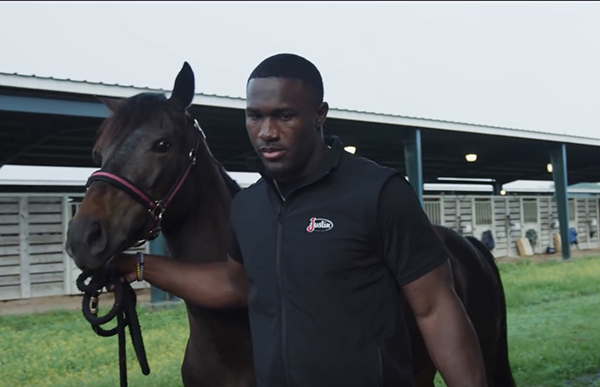 Everyone here at The Equine Chronicle would like to wish you a blessed Easter holiday filled with the love of friends and family. EC Foal Photo of the Day- Whiteout! 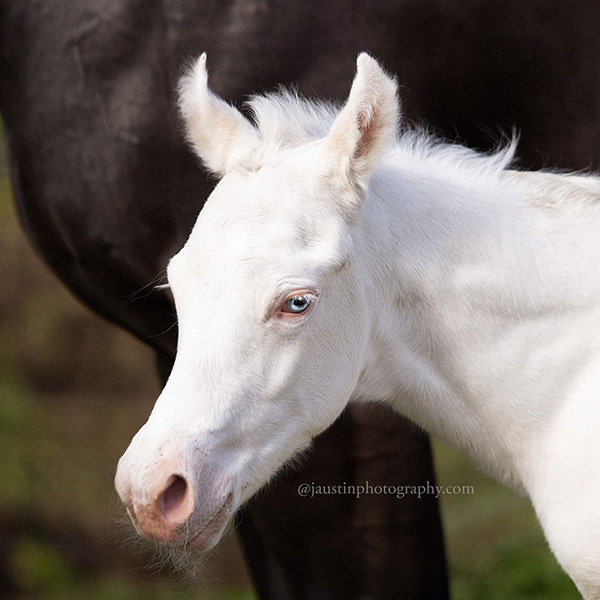 April 20, 2019 Comments Off on EC Foal Photo of the Day- Whiteout! Around this time of year, many APHA breeders and owners are sending up a little extra prayer, in addition to having a healthy foal, for a desired amount of white. 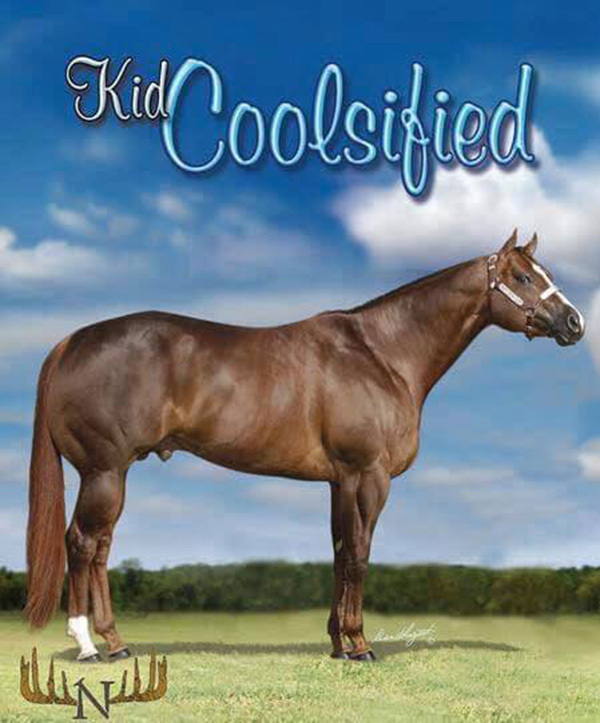 Well, Rachel Weiner got plenty with this 2019 APHA foal by Kids College Fund, a chestnut, and out of Soiree, a black breeding stock. The majority of our photos from the Congress have John in them, because he was always ready with a high five or a handshake for exhibitors- whether they were champions or finalists. 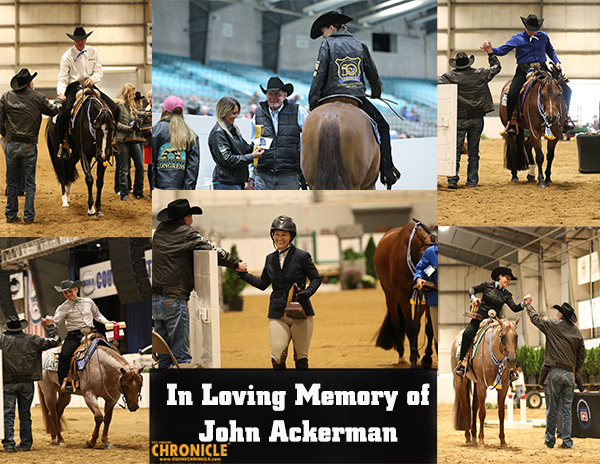 Many of our readers will remember a special story about Tracy that was reported by EquineChronicle.com in 2017, during the APHA World Championship Show. A number of Tracy’s friends and fellow competitors showed their support for her then stage 4 cancer diagnosis by placing a hand over their hearts during the awards presentations at the show. 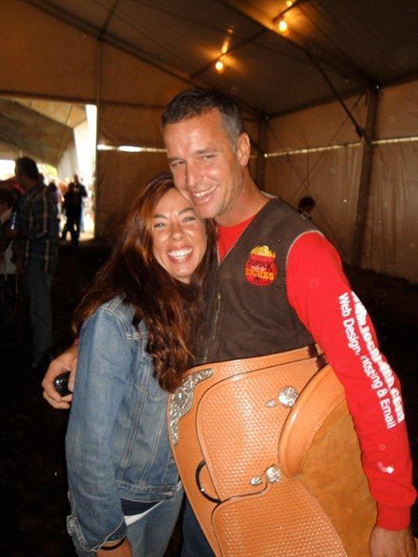 Their display of love was seen by Tracy, who was back at home in Colorado watching classes on the live feed.